ASTERACEAE. It is our somber duty to report the loss of two endemic spp., Mikania wedelii W. C. Holmes & McDaniel and Neomirandea ternata R. M. King & H. Rob., from the Panamanian flora. But Panama's losses are Costa Rica's gains! For both Costa Rican reports, we are indebted to Manual Asteraceae contributor Alexánder Rodríguez (CR). Mikania wedelii, which bears a resemblance to the much more widespread M. hookeriana DC., has now been found in bosque húmedo and muy húmedo, from 0–100 m elevation, at both extremes of the Costa Rican Atlantic coast: the Refugio de Fauna Silvestre Barra del Colorado (W. D. Stevens et al. 25066, CR; fl. mar. ), at the north end, and the Refugio de Vida Silvestre Gandoca-Manzanillo (G. Herrera & Sandoval McCarthy 7619b, CR), at the south end. Neomirandea ternata, which shares ternate leaves with N. costaricensis R. M. King & H. Rob. and N. pendulissima Al. Rodr., may now claim a single Costa Rican record: Gómez-Laurito 9781 (CR; fl. ene. ), from bosque pluvial or nuboso at 1300–1500 m on the Pacific slope (or near the Continental Divide) of the Cordillera de Tilarán. As far as we can determine, it had been known only by the type, from the Fortuna region of western Panama. LENTIBULARIACEAE. 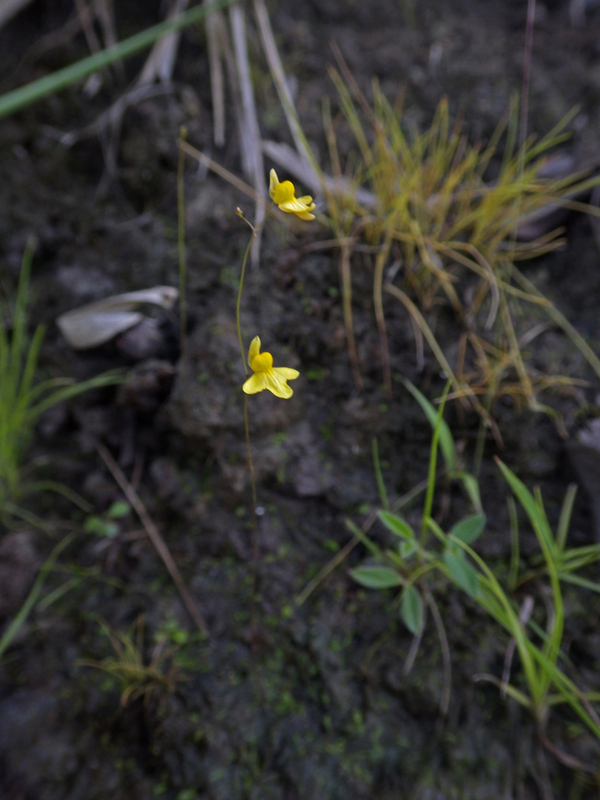 Utricularia subulata L., discovered only recently in Costa Rica by our friend Esteban Jiménez in mid-elevation savannas on Volcán Miravalles (see "Jiménez," under "Germane Literature"), has lately been found by the same individual in two similar habitats near La Cruz, but at a much lower elevation (200–300 m). These new records are vouchered by J. E. Jiménez 3539 and 3549 (both at USJ). MUSACEAE. A plant that became established adventively on Manual co-PI Barry Hammel's property near the southern tip of the Península de Nicoya has been tentatively identified by the proprietor (and collector) as Musa ornata Roxb. The same sp. can be seen planted in neighboring yards, so it is obviously being dispersed by birds or some other agency. Quite certain that his plant had sprouted from seed, Hammel has been watching and waiting for over a year since first noticing it under a porch. He thought it might be a seedling of the locally common Heliconia latispatha Benth. (Heliconiaceae), but for some reason suspected otherwise. There grew the puzzle, until now. In view of the documented propensity for certain congeners to become invasive in Costa Rica [see, e.g., The Cutting Edge 15(2): 2–3, Apr. 2008], coupled with the fact that M. ornata itself has been well-established in southern Mexico for many years, we fear the worst. Indeed, Musa ornata is so entrenched in Mexico that it has acquired a synonym (M. mexicana Matuda) based on a Mexican type, and the authors of the Flora de Veracruz Musaceae treatment (2012) concluded that "es probable que se trate de una planta nativa de México." However, that seems unlikely, given that M. ornata was described (in 1824!) based on Indian material, and the entire family is otherwise restricted to the Old World. By the way: those same authors also attibuted M. ornata to Costa Rica (among other New World countries), but cited no Costa Rican specimens or other supporting evidence. Photos of this sp. (vouchered by Hammel 27475) can be seen on Hammel's Flickr site.